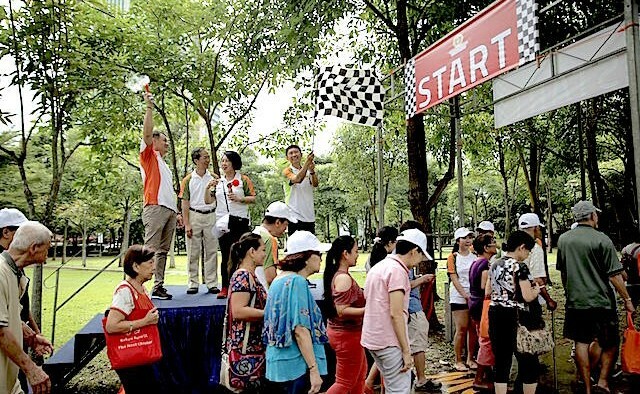 In benefit of Parkinson Society Singapore, Project Novo, a service learning group from the Hwa Chong Institution, is hosting its inaugural ‘Run for Parkinson’s’ event. The run will be held on 13 August at the Piai Plaza, Pasir Ris Park, Singapore. The fundraiser, which offers both a 5km and 8km course, is open to everyone, with campaigners being encouraged to walk and run at their own pace. The main aims of the event are to raise both awareness and vital funds for the Parkinson’s community in Singapore. The proceeds from the run will be donated to The Parkinson’s Centre, who will use them to support therapeutic programmes for the local Parkinson’s community. The Parkinson Society Singapore also hope to highlight how people living with Parkinson’s can manage their condition through exercise. Including exercise as part of a daily routine can improve mobility in joints as well as reduce stress and anxiety. After the run, there will be a variety of activities and booths set up to help those attending better understand the condition. The Parkinson Society Singapore was established in 1996 by a group of medical professionals and care givers who wished to help those with Parkinson’s. In Singapore around 4,000 people currently live with the condition, however this figure is expected to rise due to an ageing population.